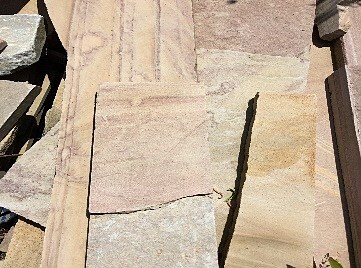 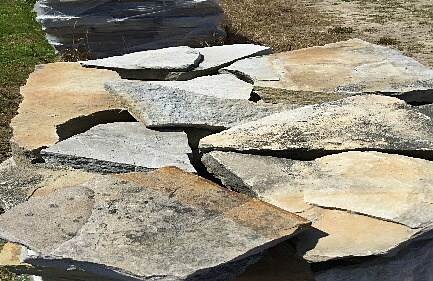 Light weight stone with vibrant colors. 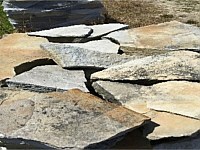 Beautiful accent to most sidings, concrete and natural stone patio/walks and planting beds. 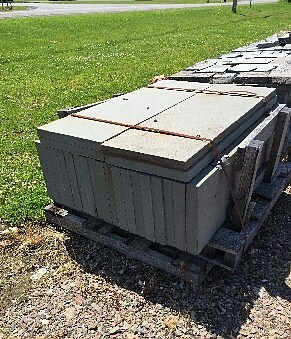 This stone will create a look of woodchips. 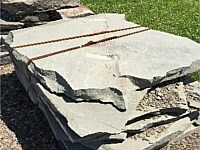 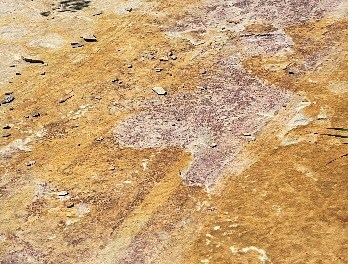 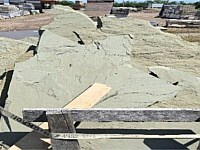 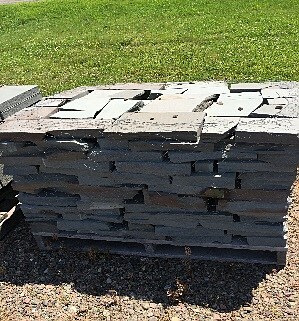 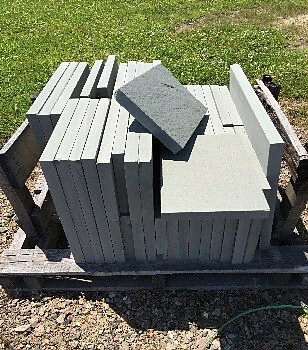 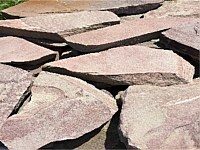 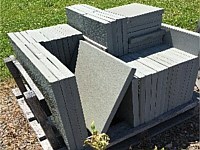 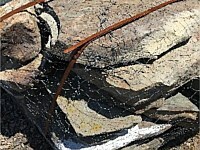 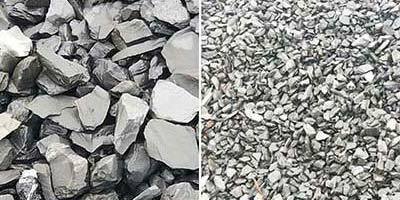 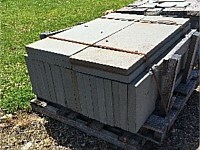 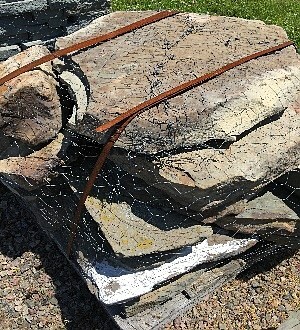 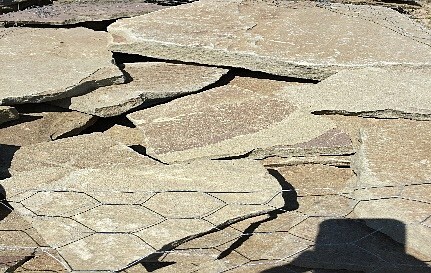 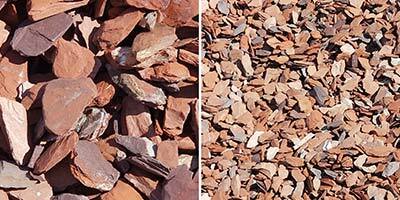 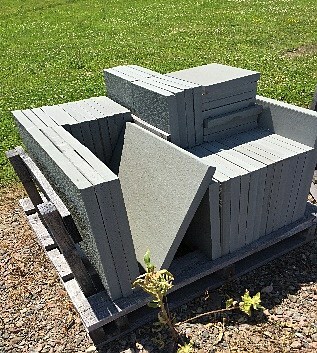 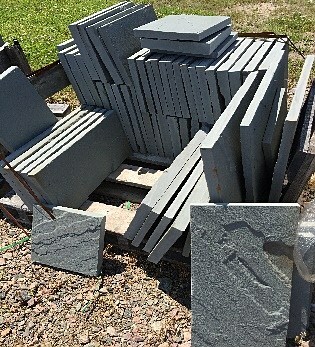 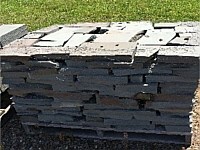 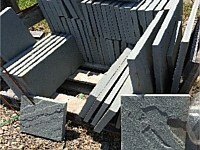 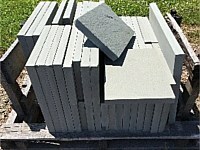 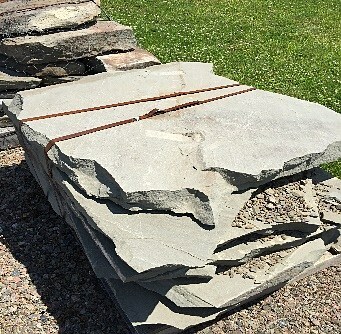 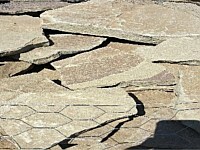 Crushed slate provides gardeners with an aesthetically pleasing and inexpensive material for landscape design. 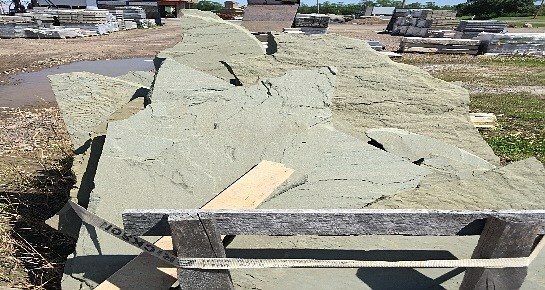 Made from metamorphic rock that is millions of years old, the size of crushed slate can range from small pieces of rocky grain to 1.5 inches in diameter.